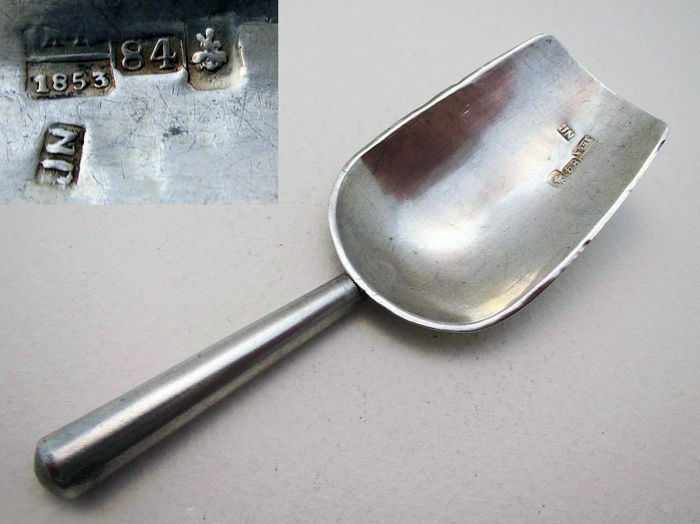 Russian (Moscow 1853) Hallmarked Solid Silver 875 ANTIQUE Tea CADDY SCOOP Spoon Shovel Spade. Andrei Kovalsky. Silver Grade 875/1000. 10.4cm long. 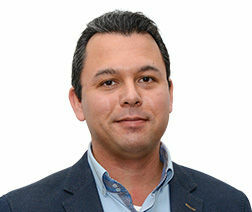 13g. Excellent Condition. 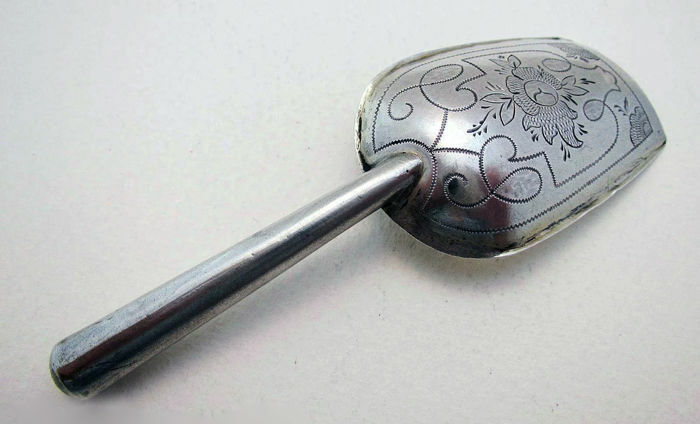 Mid 19th-century Russian solid silver .875 antique caddy spoon. Andrei Kovalsky, Moscow. 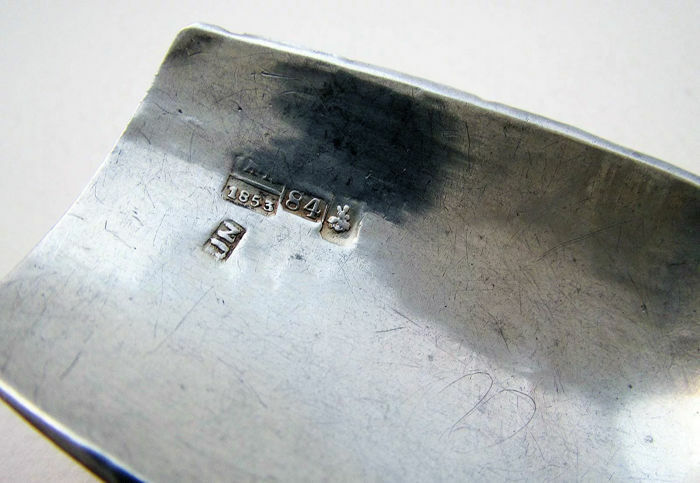 The reverse of the spoon bowl with engraved and bright-cut decorations. 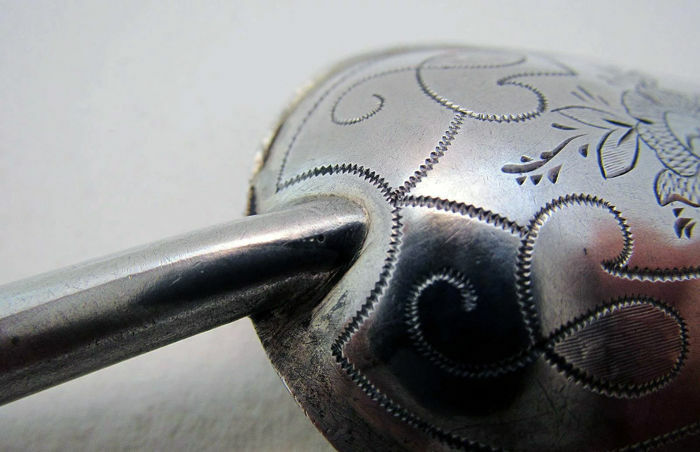 A good quality, genuine 165 year old antique Russian solid silver caddy spoon. CONDITION: Good condition with minor dents. No repairs. PEACE OF MIND GUARANTEE: We only sell genuine vintage and antiques. We always combine multiple purchases to reduce shipping cost. We provide refunds.